Herbs are a New Zealand reggae vocal group formed in 1979 once described as "New Zealand's most soulful, heartfelt and consistent contemporary musical voice". It has been said their debut EP Whats' Be Happen? 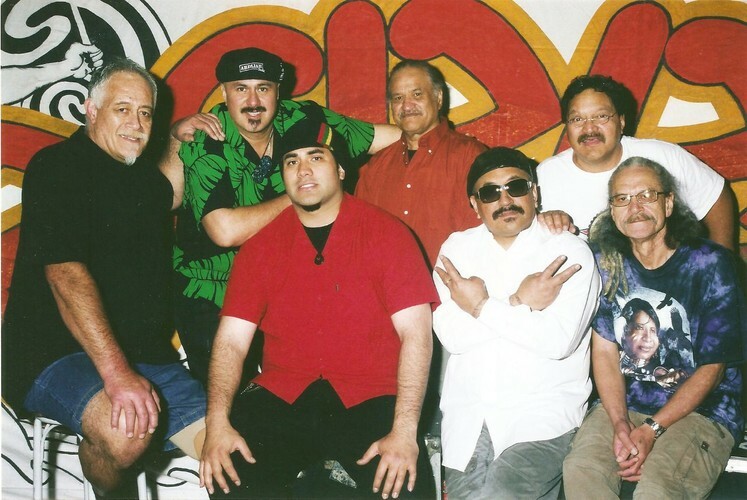 "set a standard for Pacific reggae which has arguably never been surpassed". Though upbeat, Herbs' music is clear in its messages. Their 1982 New Zealand hit "French Letter", which spent 11 weeks on the charts, came to express New Zealand's anti-nuclear stance. Fourteen years later, it was re-recorded to garner support for the prevention of nuclear testing at Mururoa. Similarly, "No Nukes (The Second Letter)", "Nuclear Waste" and "Light Of The Pacific" expressed much the same sentiment. In 1986, "Slice of Heaven" with Dave Dobbyn reached number one on both the New Zealand and Australian charts. In 1989, Tim Finn joined them for "Parihaka" and, in 1992, Annie Crummer fronted the hit single "See What Love Can Do". Although their last album of new material was released in 1990, Herbs still perform in New Zealand and Australia, with guitarist Dilworth Karaka the last remaining member of the original line-up that released Whats' Be Happen? in 1981. Of the 2010 line-up, Karaka, saxophonist Morrie Watene (joined 1982), keyboardist Tama Lundon (joined 1983) and percussionist Thom Nepia (joined 1985) remain from the band's late 1980s commercial peak.